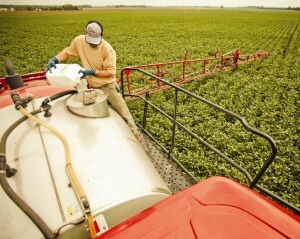 Sophisticated tank mixes, multiple adjuvants and surfactants — this is the future of herbicide application. What was once an activity a trained monkey could likely complete with relative success, herbicide application has progressed into somewhat of an art form as resistant weeds challenge the skills of even the most seasoned applicators. “You used to be able to just add anything to Roundup and — as long as something was spitting out of the nozzles — it probably worked. Now it’s all about gallons per acre and overall coverage, just making sure you are getting good coverage on the weeds,” says Tony VanOverschelde, agronomy manager, CHS Eastern Farmers, Brandon, SD. With so many different products beyond glyphosate being introduced to the tank mix, compatibility agents are expected to continue their upward growth in sales over the next few years, according to adjuvant experts. Jeff Nagel, agronomist, Ceres Solutions, Terre Haute, IN, sees the issue in terms of ongoing education. “When you get into glyphosate, you’re using systemic herbicides so you’re going to be using larger droplets,” he says. “What’s changing is where we have resistant waterhemp or Palmer amaranth, it’s all about the contact herbicides, so with those particular products we find ourselves having to reeducate some farmers and say ‘Hey, 10-12 gal./A isn’t sufficient, you need to be around 15-20 gal./A and use medium to coarse size droplets rather than just coarse to ultra-coarse. Throughout nearly every walk-of-life, things typically tend to come full circle. In a world of resistant weeds, herbicide application is not spared from this fact, according to Kevin Bradley, weed scientist, University of Missouri. Becoming well-versed in the various tank mixable products and their interactions with glyphosate is crucial in finding a solution to resistance, according to Nagel. 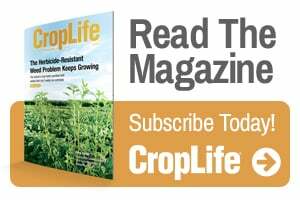 “We have a lot of (tank mix) postemergence choices in corn, and we’ve got the coming dicamba products and the pigment inhibitors, so we have tank mix partners that can help the glyphosate,” he says. 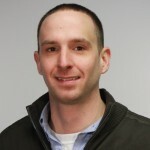 “On the soybean side, especially when it comes to marestail, we don’t really have a great tank mix partner yet, and we’re getting variable performance — I call it suppression because it’s really not full control. Sometimes we’ll suppress the marestail for a while and right now it’s coming through the canopy. VanOverschelde agrees that the days of loading up a tank with straight glyphosate and hitting the field are mostly long gone. “We’re doing a lot of add-ins with Roundup. Rarely are we doing straight roundup on anything,” he says. “Roundup and FlexStar is one that pretty much is going on everything in our territory. In the past we were doing maybe 25% residuals and now our bean residuals are increasing. What you’re doing is just adding a couple modes of action. Re-examining tillage practices and utilizing fall residual herbicides are additional ways a grower can regain some control over unruly fields, according to Nagel. Multiple adjuvants are also becoming a popular practice, as Precision Laboratories’ Jim Reiss, president, told us back in March.